Transform the way you eat & Think about food. Are you tired of feeling out of control with your eating? Tired of feeling guilty? Tired of beating yourself up because you feel like you’ve got it all together except your food? Want to change, but don’t know where to start? 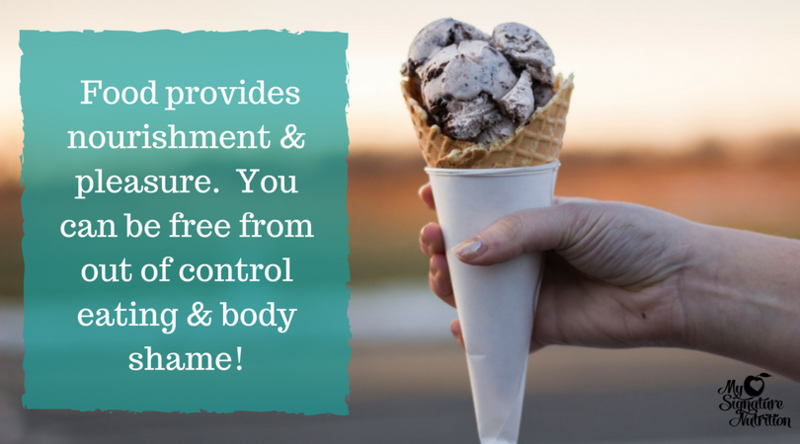 Freedom from food guilt and out of control eating is possible. There is a life where food provides nourishment and satisfaction! (NO deprivation, restriction, counting or labeling required!) YOU CAN HAVE IT TOO! If you answered YES to any of the above, then I would LOVE for you to join us in the Intuitive Eating Group. +Connect with others who are also rejecting diet culture and working to improve their relationship with food, just like you. The Intuitive Eating Group meets in our group room at 100 Independence Place Suite 212, Tyler, Texas 75703. The group runs for 10 weeks from September through December. Date and time for group are still to be announced. If you’re interested, Let me know. The cost of the group is $455 in full or $155 per month (3 payments- February, March, April). Reserve your spot in the Intuitive Eating Group by clicking here (full payment). Reserve you spot in the Intuitive Eating Group with monthly payments by clicking here. 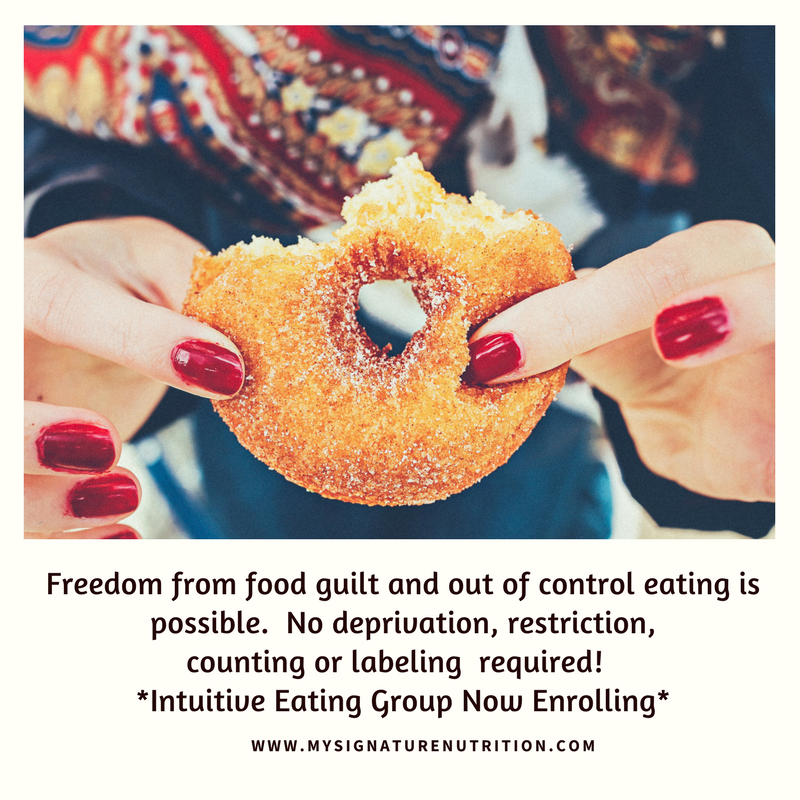 Why the Intuitive Eating Group? I’m offering this group because I’m passionate about intuitive eating and want to help people make peace with food. I can still remember when I first heard about intuitive eating. Like many things I have come to love- including yoga and capri pants- I automatically dismissed it. I was scared and thought it couldn’t work for me. I was desperate for change with my eating, but the change I believed I needed was more self-control, structure, and rigidity. What I found out was that the more you try to gain control, the more you lose control. That’s where I entered that place of “I guess I’ll give this intuitive eating thing a shot…. I’m already miserable with my eating…what do I have to lose?” I couldn’t keep doing what I was doing, I didn’t want to go backwards, but the idea of intuitive eating sure did scare the pants off of me! I started reading the book and related so much of what it said. I felt like it described exactly what I was thinking and doing. I started working through the process of connecting with my body and liberalizing ALL foods. I began recognizing and responding to hunger and fullness. It was magical. I no longer needed an external guide to tell me what, when, or how much to eat- I could trust my body and enjoy food again. Amazing! When I went through this process I was just like you (I wasn’t a dietitian at that time, although I did work with one). I was: Scared. Unsure. Afraid of gaining a lot of weight. And Convinced that it would work for other people, but not me. If you’re feeling that way now and want to become an intuitive eater so that you can replace food fear, guilt and anxiety with confidence, satisfaction, and well-being then I have a special invitation for you! The Intuitive Eating Group is enrolling right now → Reserve Your Spot Today! Don’t believe me? You can read about all these studies by clicking here. 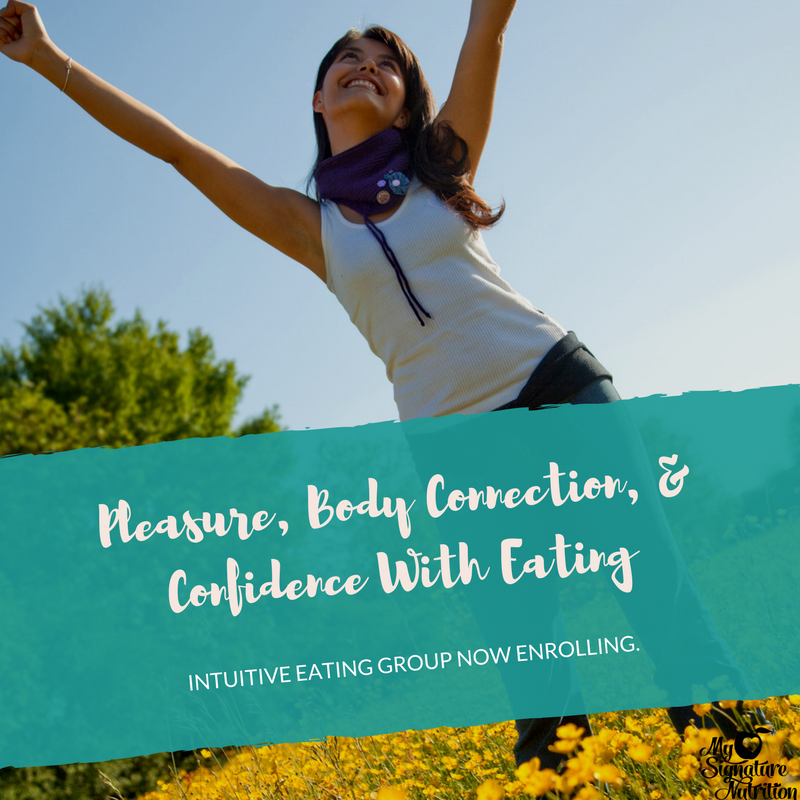 This group is lead by Sara Upson, Registered and Licensed Dietitian, certified eating disorder specialist, and certified intuitive eating counselor. I want to help you make peace with food and feel confident with your eating! WHAT IF YOU HAD 90% LESS FOOD GUILT? > You go from thinking about food all the time to being fully present in life. Other clients have called it “magical”, “life changing”, and “like a weight was lifted off of them”. >You leave food on your plate or sometimes have more because you reconnect and respond to your body’s internal hunger and fullness cues! >You go outside when you get home from work to take a break instead of raiding the pantry. >Food becomes neutral. There’s no more guilt around eating. >You are able to keep your favorite foods in your house and don’t eat them all at once. >You enjoy food and don’t beat yourself up after you have it. >You start walking more and try out yoga for fun. >You build body trust and then respond with self-care! >You feel confident and in charge! >>The results from Intuitive Eating Speak for themselves! YES, ABSOLUTELY I DO!! When members of the fall intuitive eating group were asked if the group was beneficial to them- the answers were a resounding YES! If you would benefit from more pleasure, less guilt, body connection, and confidence with your eating then let me hold hope for you that it’s possible! I KNOW THAT IT’S TRUE!